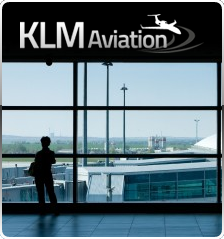 KLM Aviation Inc. is owned and operated by Steven J. Smyth, an Embry Riddle Aeronautical University (ERAU) graduate and a seasoned commercial pilot with over 25 years of aviation experience and over 10,000 flight hours logged. Steve is a professional pilot in both part 121/135 commercial international and domestic charter flight operations. Steve has flown for several major airlines including Spirit, Continental and United Airlines where he was furloughed shortly after 9-11. Steve started Hollywood Jet Management, Inc. soon after his furlough from United Airlines and purchased KLM Aviation, Inc., a part 135 charter company, to complete his full service, aircraft management and charter aviation company. KLM Aviation Inc.'s directors are all pilots first, which means we understand the importance of passenger security and comfort. We strive to provide our charter passengers with the safest, most private and refined travel experience possible and will never settle for anything less.